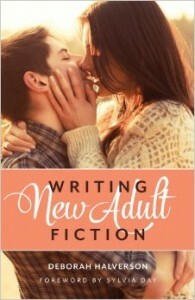 Thank you for joining me to celebrate the publication of Writing New Adult Fiction, and congratulations to Devanie on winning yesterday’s grand finale Full Manuscript Edit giveaway. We’ll take week off from DearEditor.com updates in your inbox, then I’ll be back with the regular Q-and-A—starting with a writer who wants to know what makes “bestsellers that begin with backstory, like The Fault in Our Stars,” work in an age when in media res is the magic phrase. Congrats to all the winners! What a fun and informative series of posts. I can’t wait to read the book! I’m so excited to have won, and am looking forward to the opportunity to have Deborah critique my work (yikes!!!). Thanks so much. Next Post Next post: re: How Come The Fault In Our Stars Opening Works?